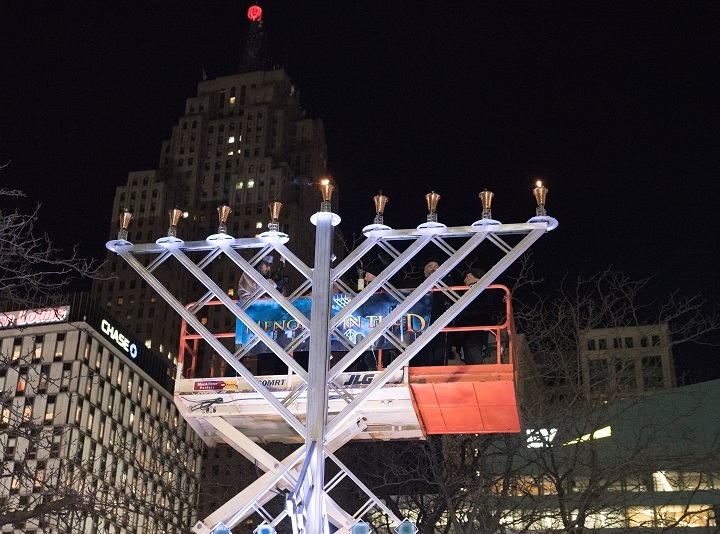 The Detroit Menorah will be lit Sunday at the 8th annual Menorah in the D ceremony, marking the first night of Hanukkah. The event, held at Campus Martius Park, begins at 4:30 p.m. on Sunday, December 2 with entertainment and refreshments. The main event, the menorah lighting, commences at 5:00 p.m. It is presented by the Shul Chabad Lubavitch of West Bloomfield in partnership with the Jewish Federation of Metropolitan Detroit and the Chabad of Greater Downtown Detroit. The pre-ceremony entertainment is sure to be fun for kids and adults alike. With dancing dreidels, face painting, crafts, a marshmallow roasting pit, strolling street performers and more, families will want to make sure they give themselves plenty of time to enjoy all the activities offered before the lighting begins. Attendees will also be able to snag a limited edition Menorah in the D sweatshirt. 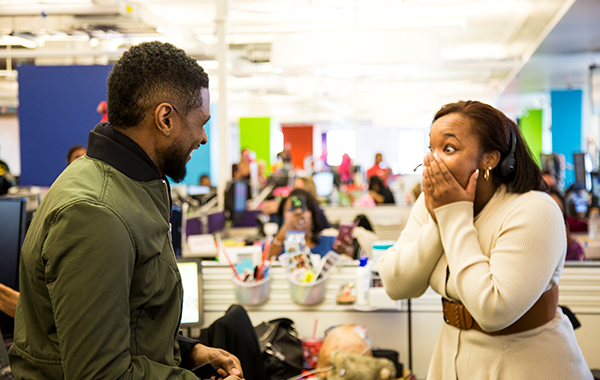 Then, at 5:00 p.m., the ceremony begins. This will include the lighting of the 26-foot-tall steel and glass menorah, greetings from community leaders and dignitaries, and live music. In addition to the usual proceedings, this year’s ceremony will pay tribute to the 11 victims of last month’s shooting at the Tree of Life synagogue in Pittsburgh. According to a press release, the event “will help spread light, unity, positivity and love” in the wake of the shooting. The event will also feature eight community members onstage during the ceremony as part of an “8 in their 8s” nomination. These special participants all have two things in common: they’ve made an impact in their communities and their age ends with an eight, in reference to the eight years the event has been held. These community members range in age from 8 to 98. The youngest of the group, 8-year-old Ariella Bednarsh, was nominated for her efforts to educate her classmates about being Jewish, as she and her sister are the only Jewish students in their school. Every year, according to the press release, she invites her friends over for Hanukkah so they can experience the holiday. Parking is available for $5 per car at the One Campus Martius Garage, located at 1140 Farmer St. (between Gratiot and Monroe). Make sure to get your parking ticket validated at the event’s designated location to get the discounted parking rate. For more information, visit the Menorah in the D website or the Facebook event page. Following a successful showing in New York City last month, New York’s Sam Friedman will bring his trademark work to Library Street Collective this Saturday for his first solo showing in Detroit.